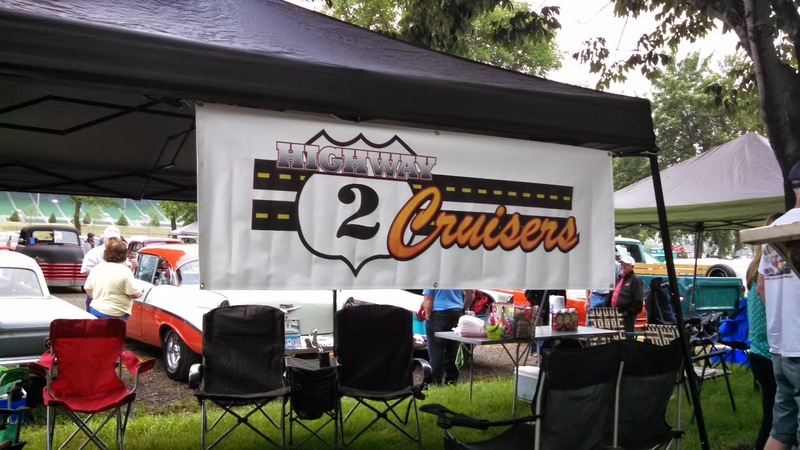 Banners.com printed a vinyl banner for the "Hwy 2 Cruisers" car club in northern Minnesota. The car club traveled to the Back to the 50s Car Show at the Minnesota State Fair Grounds. They displayed their vinyl banner on their tent so everyone could see which car club they were a part of. Thank you for sending us the picture! We love seeing photographs from our customers! If you need a banner for your car club or car show, visit our car show banners page. We have templates available for you to customize online. You can also upload your own files or work with one of our graphic designers.